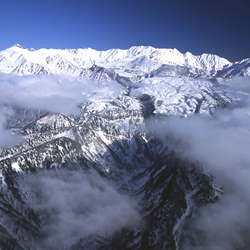 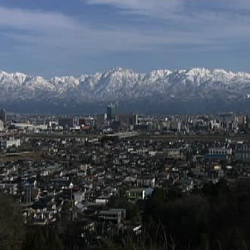 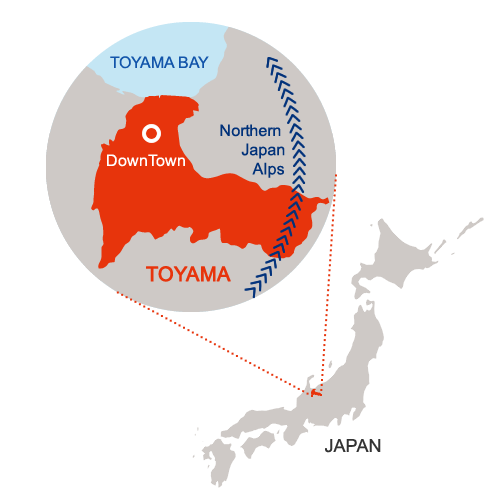 “Toyama” means “rich with mountains” and the city offers stunning views of the 3,000 meter crest of the Northern Japan Alps from its picture perfect location on the Sea of Japan, only 250 km northwest of Tokyo. 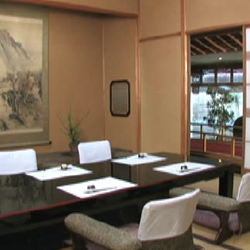 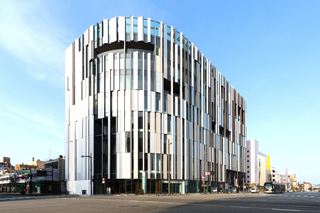 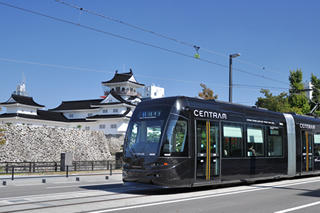 Historically, Toyama was a powerful castle town and today this thriving high tech city still offers visitors splendid ancient festivals and neighborhoods with traditional 19th century wooden buildings along with ultra-modern trams along the downtown canals and the largest community of glass artists in Japan. 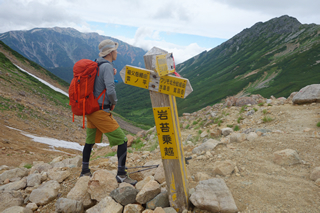 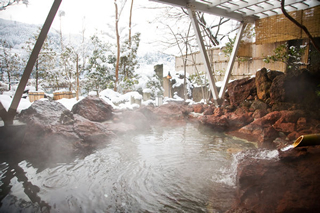 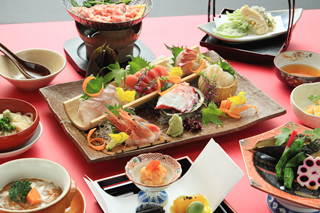 With some of the most famous sashimi and sushi in Japan, award winning pure water, spectacular mountain trekking, remarkable museums, and easy access, eco-friendly Toyama has it all. 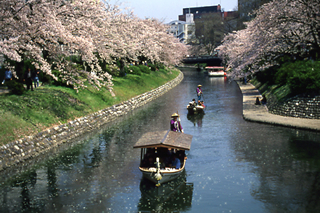 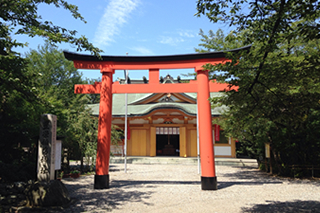 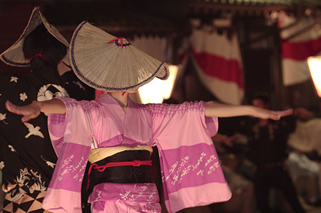 Come see the real Japan.